There are a few "facts" about cockroaches that are simply not true. It is not true that cockroaches are the only kind of creature that can survive a nuclear explosion. They are able to withstand higher levels of radiation than some other creatures, but if they were in a direct blast, they would be gone with everything else. Another incorrect "fact" about roaches is that they only infest dirty homes. The truth is, if they can get in and can find a food source (inside or out) they will be happy to stick around. A cockroach can live for a full week without a head! Cockroaches do not breathe through their mouths. They have an open circulatory system and they breathe through little holes in each of their body segments. This means that they are able to keep breathing even if they, literally, lose their head. But, after a week of breathing through other body parts, a cockroach will die of thirst. Cockroaches are capable of running up to 3 miles an hour. This means they can spread germs and bacteria rather quickly throughout homes. Furthermore, a one-day-old baby cockroach (which is approximately the size of a speck of dust) can run almost as fast as its parents! And that baby cockroach will become an adult in as little as 36 days, when it will be able to begin reproducing. If left unchecked, a few roaches can turn into a major infestation in a relatively short period of time. A cockroach can hold its breath for 40 minutes and can survive being totally submerged for half an hour. They hold their breath often because of a need to regulate their loss of water, so they're really good at it. If you are thinking about getting rid of cockroaches by flushing them down the toilet, think again. Cockroaches are dangerous to have around. These filthy creatures are directly linked to stomach illness, asthma and various diseases. When roaches go from dirty places, such as dumpsters and sewer systems, to food prep surfaces and food storage areas, they can spread harmful bacteria which can cause stomach illness. Furthermore, they are directly linked to diseases such as dysentery, cholera, leprosy, plague, typhoid fever, and viral diseases such as poliomyelitis. Cockroaches are also dangerous in that they sometimes bite. While they are not prone to biting humans, they will do so if their populations get large enough and they have trouble finding food. They most often bite around the eyes of sleeping humans. These bites can become red and swollen due to the transfer of harmful bacteria into the wound. Finally, roaches can carry the eggs of parasitic worms which may lead to problems with dermatological symptoms and respiratory problems. Do-it-yourself cockroach elimination strategies often fail. When homeowners take matters into their own hands and try to eliminate a cockroach infestation, it usually ends in frustration. Simply cleaning your home of all food sources will not work, as cockroaches can find food sources outside the home, or inside your walls. Traps work somewhat, but don't work to completely get rid of roaches. The truth is, roaches can multiply faster than you can trap them. Pesticides work to kill some cockroaches but roaches have natural defenses which help them avoid areas where pesticides have been applied. And, when exposed to pesticides, roaches are able to develop a resistance to those pesticides. And, when applied wrong, pesticides can lead to greater sickness than simply living with cockroaches. There are also many natural cockroach remedies that simply do not work to completely eradicate a cockroach infestation--though they can reduce populations, temporary. While there are things a homeowner can do to reduce cockroaches, once an infestation is established, it is very difficult to completely get rid of them. Cockroaches multiply quickly. If roaches inside are killed, more roaches will simply come in if your home is not properly sealed and protected. 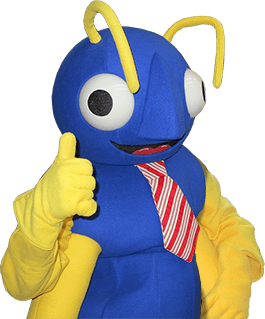 If you need help with cockroaches, reach out to the professionals here at Big Blue Bug Solutions. We have been helping folks become cockroach-free for over 80 years. We can help you as well. Contact us today for prompt assistance.